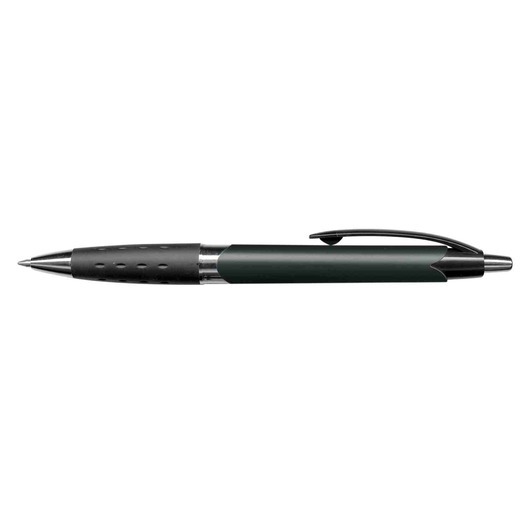 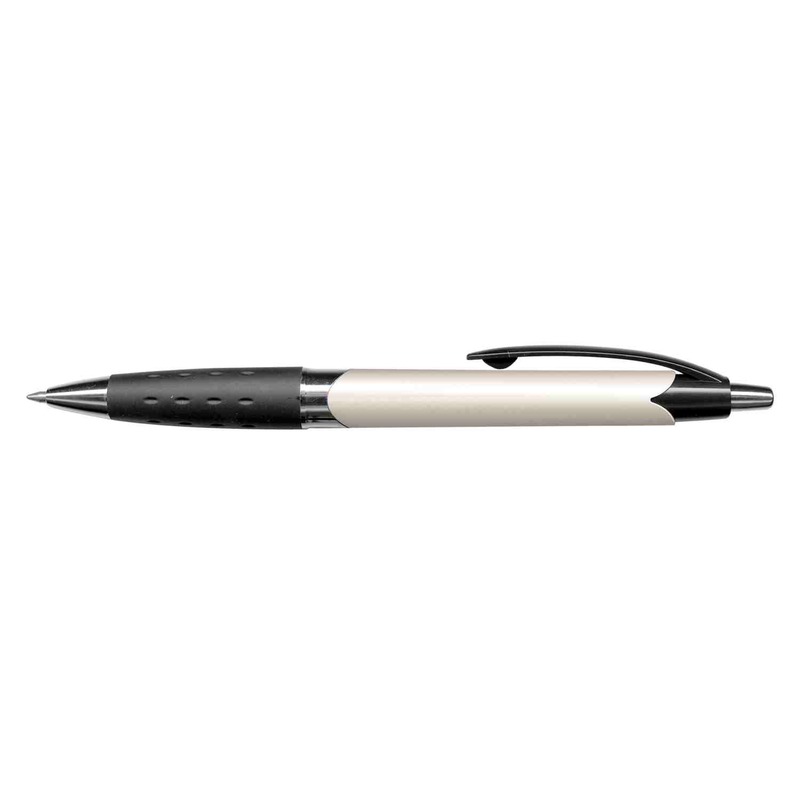 A smooth looking pen with a sleek design and attractive colours. Shine the spotlight on your branding with some of these sophisticated looking pens. 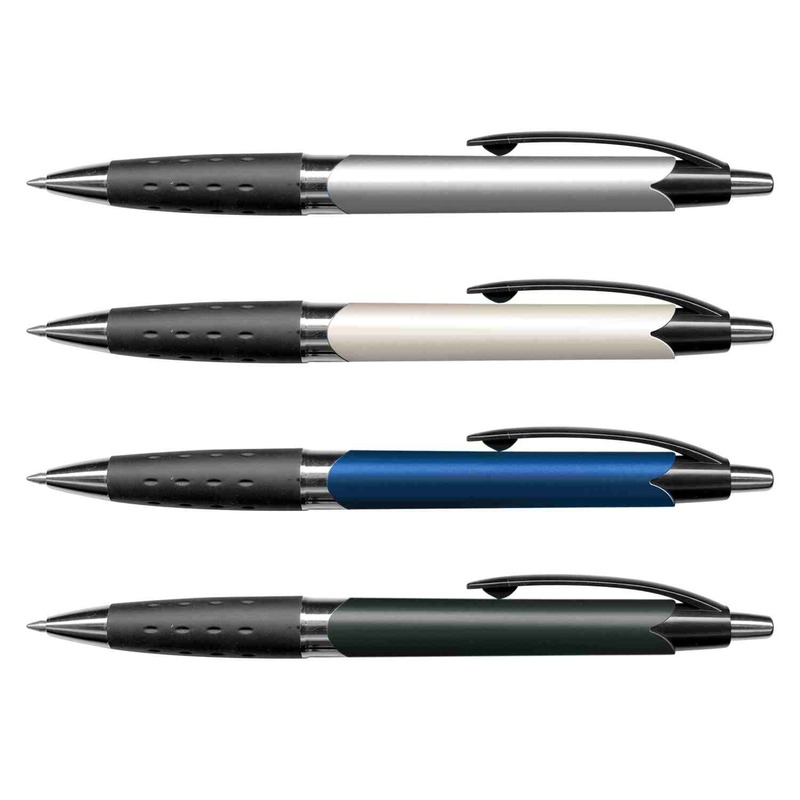 Your choice of 4 corporate style colours with your printed logo or branding message. 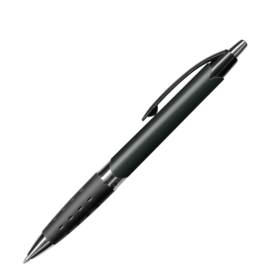 The pen is a retractable plastic and metal ball pen with a soft rubber grip and blue ink refill of 1200m of writing ink.